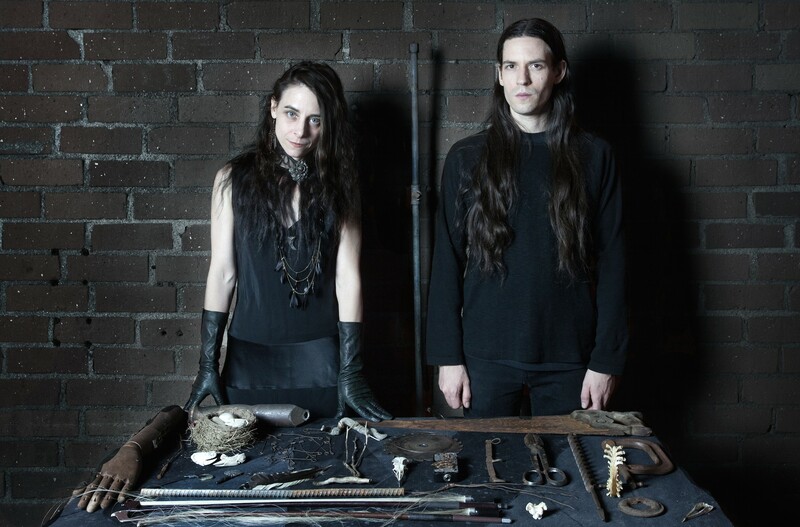 The collaborative work of Jonathan Borges and Shannon Kennedy of Pedestrian Deposit could be described as highly composed and detailed abstract sound textures combined and contrasted with more established musical forms to create dynamic experimental music that draws on the duo’s distinctly contrasting auditory obsessions. Borges’ use of crude, disciplined electronics, tape loops, field recordings, and controlled feedback manipulation merges and contrasts against Kennedy’s use of cello, self-designed stringed instruments, bowing techniques on amplified metal and physically activated apparatuses constructed out of materials such as wood, metal, water and ice resulting in music that is both raw and refined, and charged with tension and focus. Pedestrian Deposit bears elements of electro-acoustic sound, musique concrete, classical, industrial and harsh noise, but cannot be confined to any one genre within experimental sound. Jonathan Borges began Pedestrian Deposit in the Winter of 2000, with the concept of combining layers of electronic sound with no pre-determined relation to one another until mixed. The project slowly evolved to incorporate elements and hybrids of harsh noise, tape collage, field recordings and ambient music with a focus on extreme contrast, resulting in a prolific few years of rich and dynamic compositions on such labels as Hospital Productions, Hanson Records, and Borges’ own Monorail Trespassing label, to name a few. After a two-year hiatus, PD returned in the fall of 2008 with the addition of multi-instrumentalist and visual and performing artist Shannon Kennedy; and her elements of cello, and amplified, bowed and physically activated objects. They have consistently toured the United States nearly every year since, throughout the US and Europe, placing an emphasis on the development and evolution of physical, psychological and organic live performance. PD has appeared at such events as the 2009 No Fun Fest in Brooklyn, New York; the 2010 ’Activating The Medium’ festival in San Francisco, CA; the 2013 Milwaukee Noise Festival in Milwaukee, Wisconsin; the 2014 and 2015 Ende Tymes festivals in Brooklyn, NY; the 2015 LUFF festival in Lausanne, Switzerland; and the 2016 Click Festival in Helsingør, Denmark , MAPS festival in San Francisco 2017, and recently at Pioneer Works in New York as part of their Grand Ole Opera series— in addition to innumerable venues, galleries, halls, bars and makeshift spaces throughout the U.S., Canada and Europe.